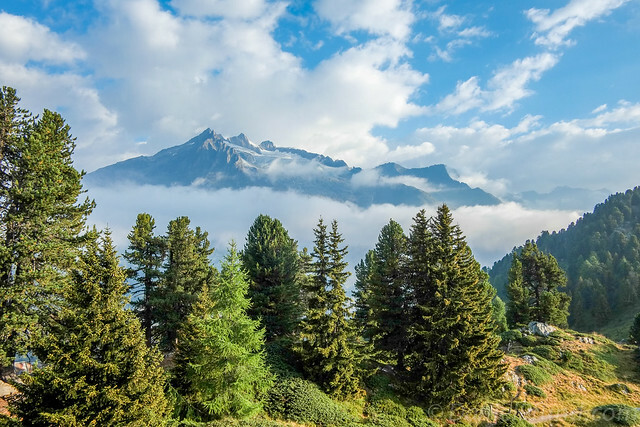 This summer we decided to take a couple of long week-ends to discover Switzerland with the family. 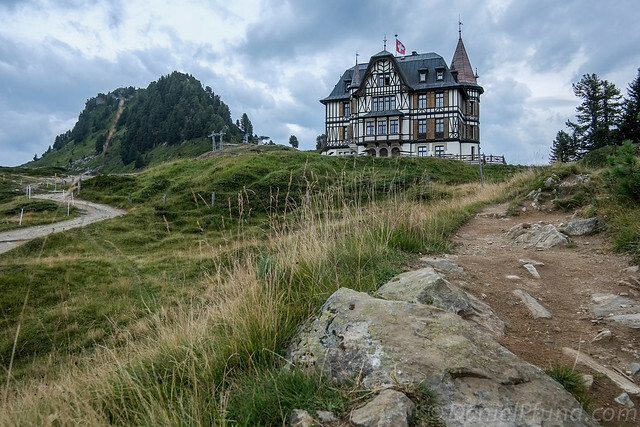 The place I absolutely wanted to visit was the Stanserhorn, the mountain near the quaint village of Stans, right in the middle of Switzerland (by Luzern, see map at the bottom). Why was this on my bucket list? Because it has the world’s only open-roof cable car! For this trip I took my trusty Fuji X-Pro1 with the 18-55mm “kit” zoom lens. I wanted to travel light and not have to change lenses, so I took the only zoom I have. Click on the pictures for bigger versions (and more pictures in my Flickr stream). After that short train ride, you get to the bottom station of the open-roof cable car. 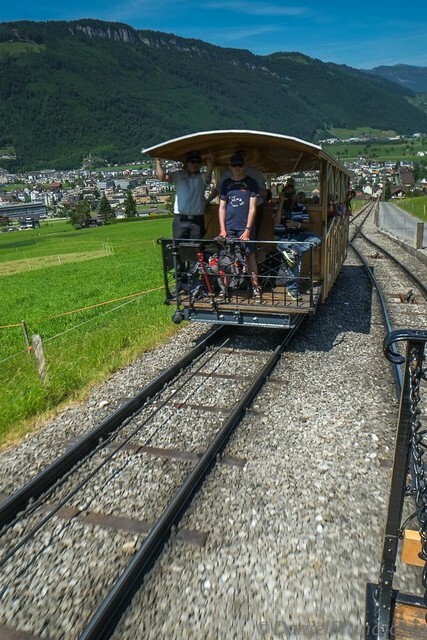 The ride is very smooth, as the cabin is securely supported by very large iron cables. Even my wife, who is afraid of heights, said it was ok for her as she adventured towards the top of the cabin. 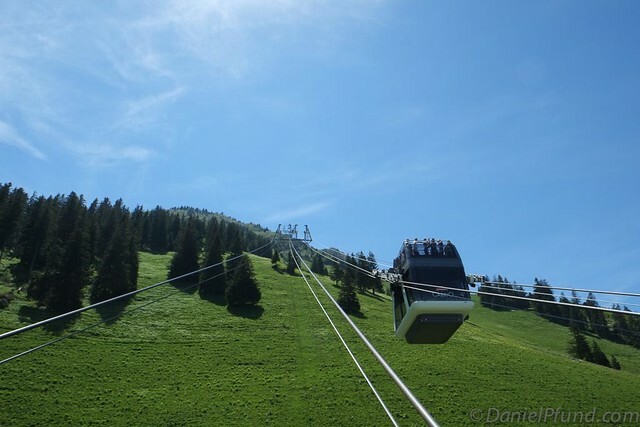 The feeling of being transported in an open-air cable car is quite amazing; you feel a gentle breeze and the time passes by so quickly; you are able to see so many things at once. The weather was perfect; it was almost like a dream! 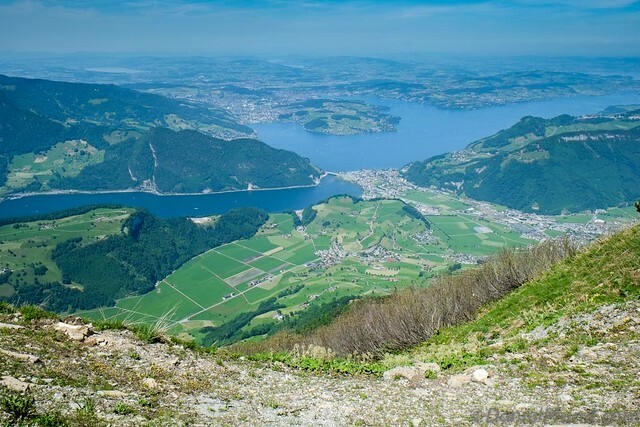 From the top of the Stanserhorn, you get a beautiful view of the 4 canton lake below, as well as many mountain tops. We took a little walk to the summit (about 45 minutes) where we could see some marmots (groundhogs for the Americans). The kids really liked those. There is also a nice restaurant where you can eat local specialties, which came in handy after the short walk. 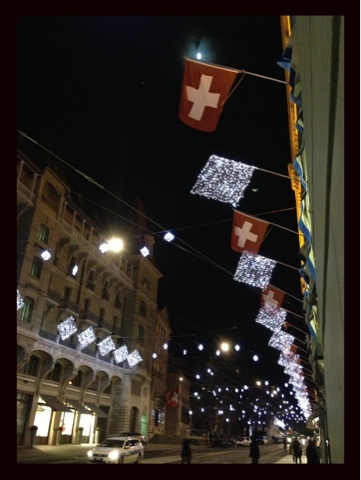 Overall this was a beautiful week-end and I highly recommend you visit the place if you have time in Switzerland. Going up and down is no longer than 1 hour, but take your time to enjoy the views! I had the opportunity to visit Paris over last weekend. As this was a group arranged travel (with my work colleagues), I wanted to keep a neat list of things we were planning to do. 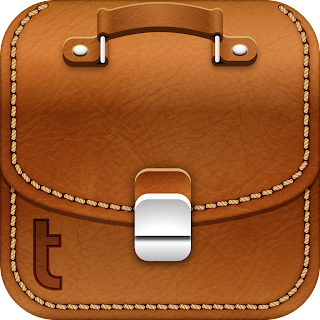 For that, I turned to my trusty iPhone and found an app for that: Tripcase. Here is a short review of Tripcase. Tripcase wants to be the app that holds all your travel information, from flights to hotels and including everything in between (attractions, restaurants, ground travel, car rental, meetings...). 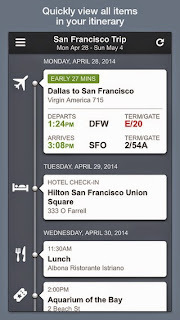 I had previously used Tripit which also has a pro version of their app. I found Tripit nice and easy to use, as all you had to do was forward your booking confirmations by email and it would automagically fill out your trip details. That part worked very well, but I couldn't enter any additional details of my trip (like a restaurant for example). That's why I wanted to try out something else. Enters Tripcase. Tripcase allows you to forward your bookings by email and it will try to enter the information automagically for you, just like Tripit. I forwarded my first flight booking confirmation (an Air France flight) and it created a trip for me. Good start! Then I forwarded my return flight (an Easyjet flight) but all I got was an email saying that it was not possible to parse that booking. Since Tripcase is made by Sabre (a global booking system), and Easyjet doesn't use them, I guess Sabre chose to not integrate other flights outside of their own system. Nevertheless, you can enter your flight manually and that worked, although it's much less convenient. I wish Sabre would enhance Tripcase to include non Sabre bookings in the future (I'm reviewing version 3.3.3 dated 14th of July 2014). I then proceeded to add ground transportation information like which underground line I had to take to join the city center. This was more like a free form edit, as the app didn't have a specific section for that. The good point about this is that it forces you to plan ahead. Planning a trip is half the fun, or as they say: focus on the journey, not the destination. I added my hotel and dates; with the name Tripcase found the address. And finally I added an activity and a restaurant. Everything worked fine, but for some strange reason, the timeline display had a bug. It showed me my ground transportation which I had entered at 2:30 PM before my hotel check-in which I had entered for 2:10 PM. Oh, and by the way, if they would allow 24H formats, that would be much easier for us Europeans. Strangely enough, I saw that this was the number 1 request on their website! Another gripe is the user interface. 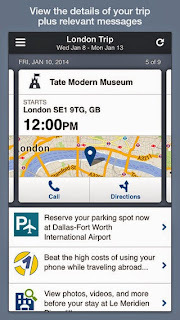 It definitively does not adhere to Apple's standards of "iOS Human Interface Guidelines". For example, there is a "save" button when you edit an item. This button is at the very bottom of the manual entries, and everytime you enter something, you need to be careful to press the save button, but since it's hidden off the screen, you need to remember to scroll down there, otherwise all your changes are lost. It happened to me only once; you learn quickly! I would suggest to add the button on top in the navigation bar and use the Apple standards of "Cancel" and "Save" as the 2 choices. As the app has grown over the years (it's apparently already 5 years old), it must have added lots of bells and whistles. I like how it can look up your hotel and fill in information such as the address and telephone number. It also shows you a map of the location. All this is great, but the problem is when you travel, you may not want to incur high roaming charges for data connections or you could find yourself in a remote area without Internet. I wish the app could have an "offline" mode and save the maps for future reference when travelling. The app is also quite big in social media. There are options to share your complete trip with someone by email or just a specific portion (a flight if they come pick you up for example). I tried to share my flight number and information with my wife and it worked perfectly as advertised. During the trip, my return flight (Easyjet) was delayed. The app sent me a notification in advance and proposed to find alternative flights. This was very convenient. It also sent me an email everytime my flight status was changed. I don't know where the app gets this information, but it was more precise than even the airport information! When I arrived at the airport, I had a moment of stress when the departure information mentioned that my flight was actually on time. I ran through Orly airport, only to be at the gate, sweating, but without a plane in sight... it was indeed 2 hours late. Overall I really like Tripcase. I hope they can improve on the user interface and fix the timeline bug. I would really also like an "offline mode" where the maps are saved for you. And if they could speed up the whole app, it would also make for a better experience. The app just feels a bit slow to load and navigate. I guess it's because all the data is held on their servers? That may also explain why you need an Internet connection. At this point, I'd give it a 4 star (out of 5): recommended. I had the chance to spend a couple of days in the Riederalp region, home to the Aletsch Glacier, next to Bettmeralp (see map at bottom). For me, this is one of the most beautiful region in Switzerland. On the first day, we took the train from Geneva to Sierre and had a great lunch there before heading to Brigue. 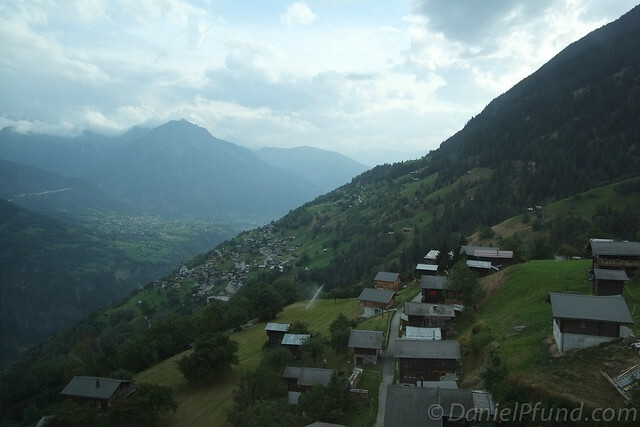 We then took another train for just a small ride to Morel, where we took the cable car to Riederalp. 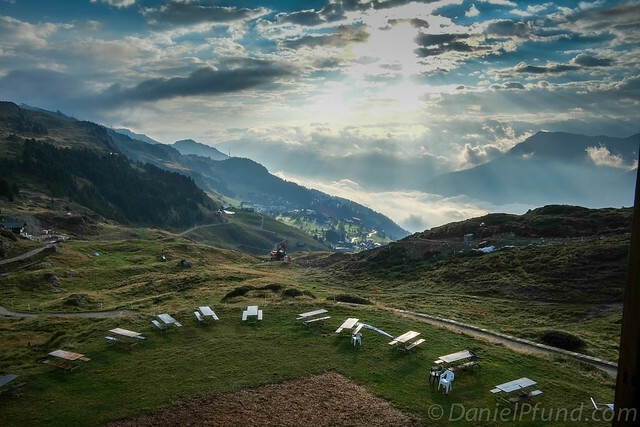 The views riding up to Riederalp are already breath-taking. Rideralp is one of the few no-cars mountain resorts in Switzerland. Finally from there, we walked about 30 minutes to reach our final destination: the Villa Cassel. 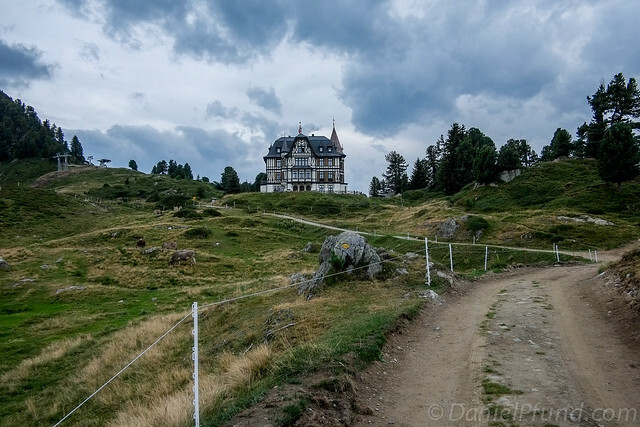 Villa Cassel is a big mansion built between 1900-1902 by an english banker, Sir Ernest Cassel, which now belongs to Pronatura, a non-profit organisation working to protect the environment. You can sleep very comfortably up there, gently soothed by the cow's bells. 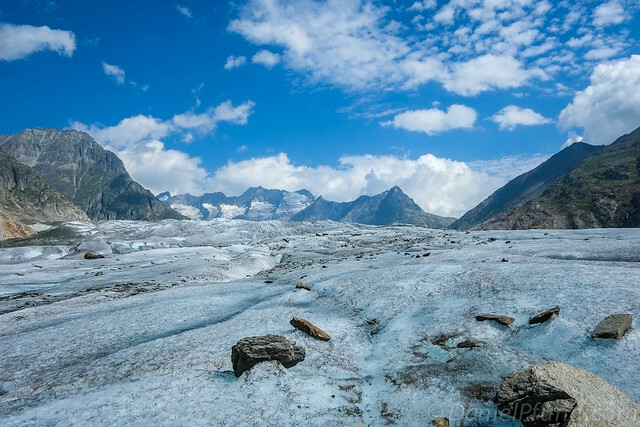 The next day we walked all the way to the Aletsch glacier, and made a 2 hour trip on the glacier itself with the help of a guide (don't attempt this alone, you need suitable equipment). The weather was great: not too hot, not too cold. I found this region absolutely beautiful and very relaxing. 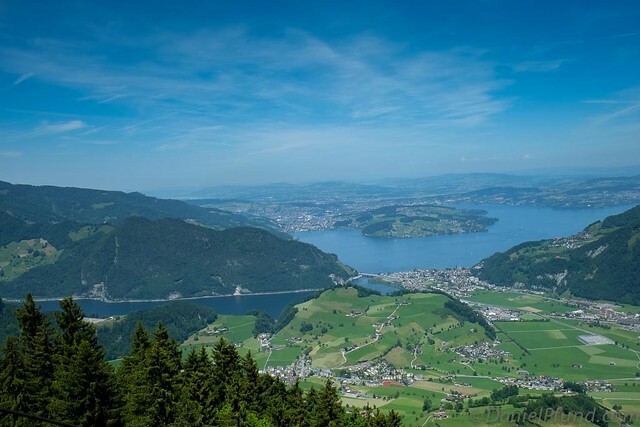 Did you know that this is the biggest inhabited region of Switzerland? And since it's not so easily reachable, there are few tourists. Enjoy the view! 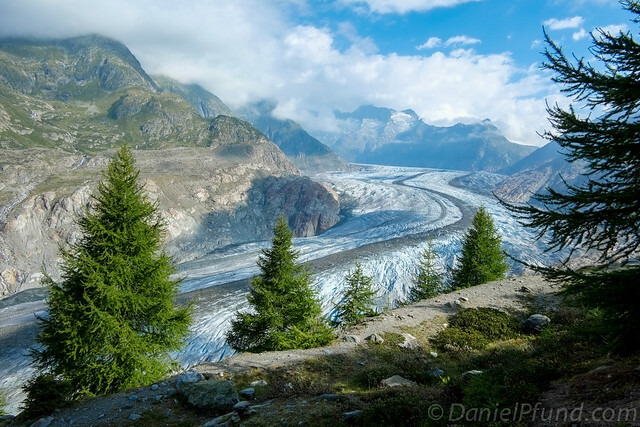 All these pictures were taken with the fabulous Fuji X-Pro1 and the Fuji XF 18mm lens. I can only say great things about this camera, the picture quality is awesome for such a small form factor. My back really enjoyed the light load! 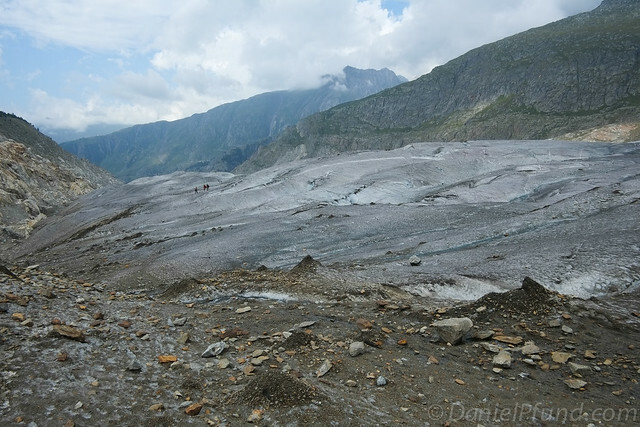 You can see more pictures on my Aletsch Glacier Flickr Set. 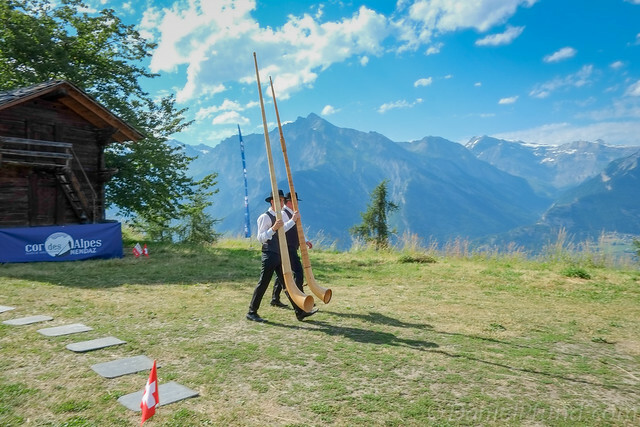 Last week-end I went to Haute-Nendaz for the 12th international alphorn festival (12e festival international de cor des Alpes in french), as the weather was getting really hot here in Geneva (over 30 degrees). Unfortunately, it was just as hot up there in the mountains, except for Sunday when a little breeze set in. 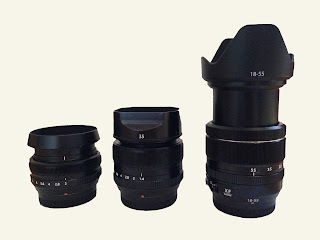 I took my trusty Fujifilm X-Pro1 with the 18mm and 35mm prime lenses. I really love my Fuji: it's so light and yet delivers such beautiful image quality. I also congratulate Fuji for listening to their customers, and constantly improving the firmware of the X-Pro 1 camera. I had just upgraded to version 3 of the firmware, and I absolutely love the focus peaking. Thank you so much Fuji ! 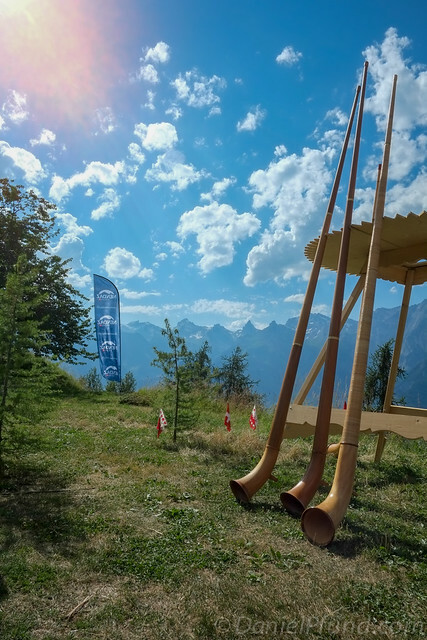 The week-end festivities were similar to the 2012 Alphorn Festival. 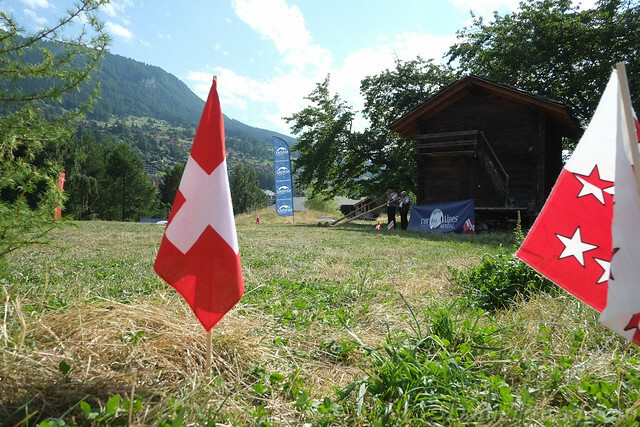 On Saturday the 48 contestants had to qualify themselves for the final that took place on Sunday at the top of Haute-Nendaz at Tracouet. 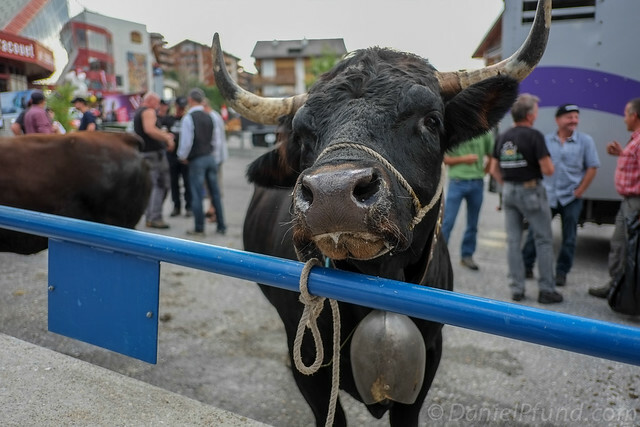 There were also a lot of other activities going on, amongst which a traditional parade on Saturday evening in the village, which the kids really liked. 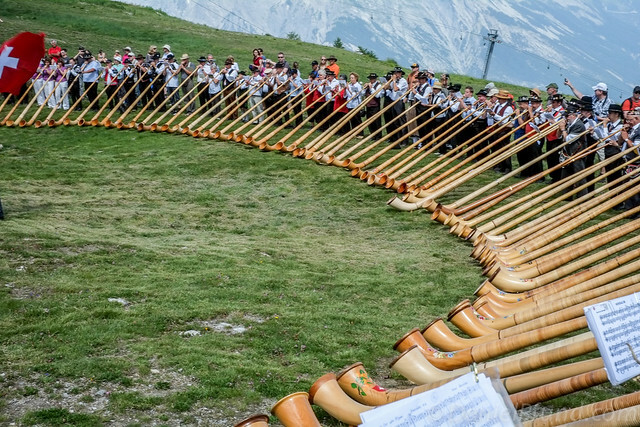 If you are ever in the Valais (or "Wallis" as it’s called in Swiss-German) at the end of July, I highly recommend you stay for a week-end in Nendaz for the yearly festival. 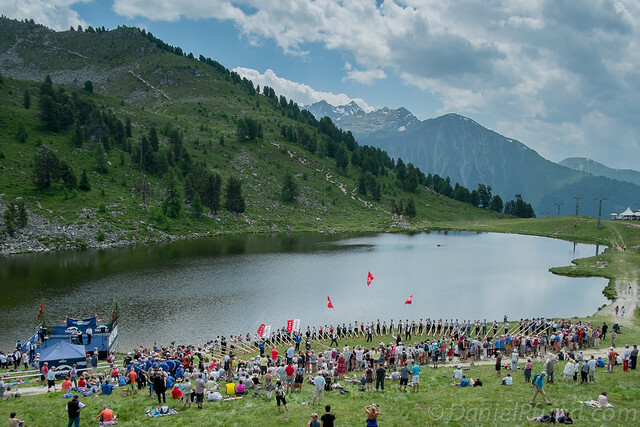 The 13th edition will take place from July 25-27th, 2014. You can find more pictures in my Flickr photostream. Thanks for looking! I went to Paris last week for business, but had a free evening to spend with a friend there. We decided to do some long exposure photography. Normally long exposures are useful to blur out moving water in landscapes. Here we actually "blurred" out people, sometimes even removing them entirely! It's quite a funny feeling when you look at your picture after the long exposure. As the weather was quite overcast, it was nice to have some moving clouds in there too. It was really a great evening (thanks Jerome)! The joy of traveling with the Fuji X-Pro1 is that the equipment is considerably lighter than a DSLR kit. I could even take a small tripod (a gorillapod) instead of a huge and heavy one. My friend Jerome on the other hand, had a Canon EOS-5D MkII and a big tripod; that did attract attention. At one point, in the Jardins des Tuilleries park, a car with park maintainers pulled up to us and asked if he had a permit. They claimed that he was a "professional" because of the tripod! I think they didn't even notice my Fuji hanging on the gorillapod on a fence. Another great reason for being a Fuji Ninja! a Neutral Density filter: this is like sunglasses for your camera as it simply reduces the amount of light reaching the sensor. You can buy these in several different optical densities. 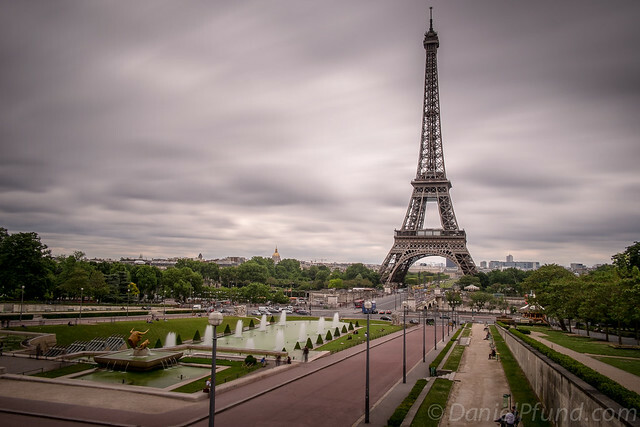 In my case I used an ND1000 (a 10 stop filter, sometimes called "big stopper"). You can also use a remote cable, although it's not necessary for exposures up to 30 seconds on the Fuji. In fact, on the Fuji X-Pro1, there are 2 long exposure modes: B and T. In T mode, you can set the time from 2 seconds to 30 seconds (with the left arrow on pad). In B ("Bulb") mode, you need a cable release, as the first shutter actuation will start the exposure, and a second actuation will stop it. So basically, you can make exposures as long as you want. The other thing you need to know, is that the Fuji X-Pro1 has a Noise Reduction mode in the menus. I highly advise you to put this ON. This will take another black exposure for the same amount of time to measure the sensor noise and remove that noise from the original picture. The disadvantage is that it will take twice as long to take just 1 picture, because the camera will be blocked "processing". Note that this Noise Reduction only comes in play after a certain amount of exposure time. For example with ISO 200, the minimum exposure time is 70 seconds for Noise Reduction to come into action. You can find a complete discussion of this in a Fuji-X Forum if you're interested to learn more. measure the exposure without the ND filter and find equivalent time for 10 stops longer. I usually set my f-stop to f/11 or f/16, which is the maximum on the Fuji XF 18mm lens. To find the equivalent exposure time, I use a free iPhone app called "Long Time". In my case (sunset time), I had a normal exposure of f/16 & 1/30th of a second. 10 stops longer is equivalent to 30 seconds exposure. put ND filter on, set camera on tripod. frame through LCD screen on the back. The great advantage of the Fuji X-Pro1 is that even with the ND1000 filter on, it can still see the scene, and even focus (I use manual focus because I don't want the camera to try to refocus when I take the picture afterwards). Either put the camera on B or T mode, depending on your expsoure time (if it's max 30 seconds, use T). Either put a 2 seconds timer (if you use T mode) or use the cable release and shoot. The Fuji X-Pro1 is great for long exposures, as it will display the elapsed exposure time on the LCD screen (or in the digital viewfinder). No more need for a stopwatch! Release the cable after your desired exposure time, and let the camera do it's processing (if necessary). Be sure to always use the lowest ISO setting (for the Fuji X-Pro1 it's ISO 200) as you want to take longer exposures, not shorter ones. Also, this will minimize noise in your picture. My only issues were that each time you turn off the camera, the T setting resets to 2 seconds, so you need to push that left arrow several times in order to get back to 30 seconds. Also, the setting for the remote timer (2 seconds) is also lost when you turn off the camera. Maybe there is a way to keep this in between ON/OFF cycles, but I haven't found out how yet (leave a comment if you know). Below you can find some examples of shots I took. 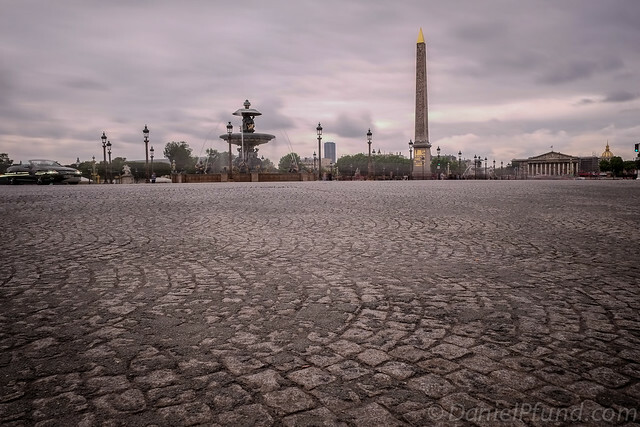 This shot of the Place de la Concorde was taken early evening, with a ton of traffic... but thanks to the magic of long exposures, most cars disappeared! 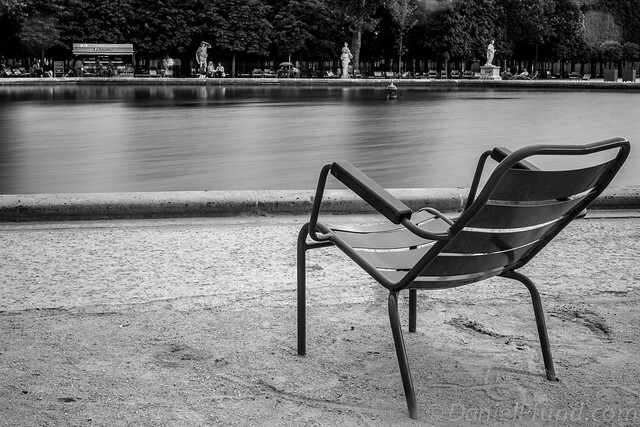 We then moved into the Parc des Tuilleries. 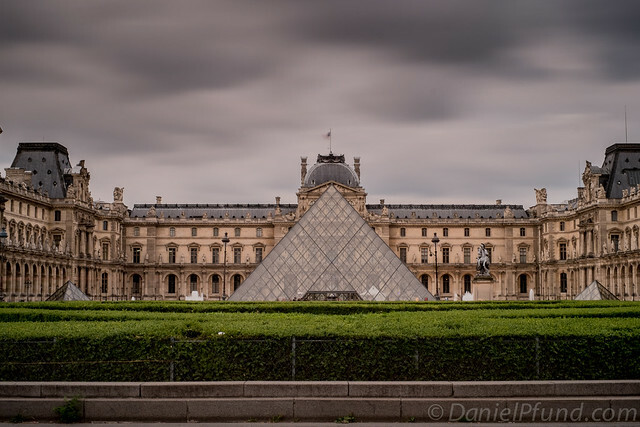 To arrive at what I find to be one of the most photogenic sites of Paris: the Louvre pyramids. I just love this place! 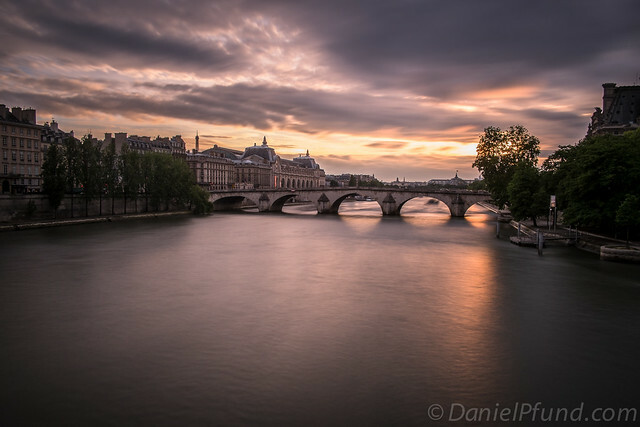 Of course, we couldn't resist taking some long exposures of the Seine river. That's exactly what the ND1000 is made for: giving a sense of smooth flow to water. Here you have the beautiful addition of moving clouds. 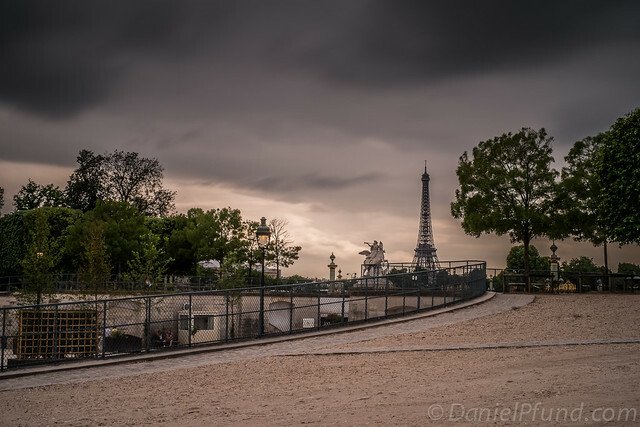 You can see my complete set of Long Exposure Pictures of Paris with the Fuji X-Pro1 on Flickr. 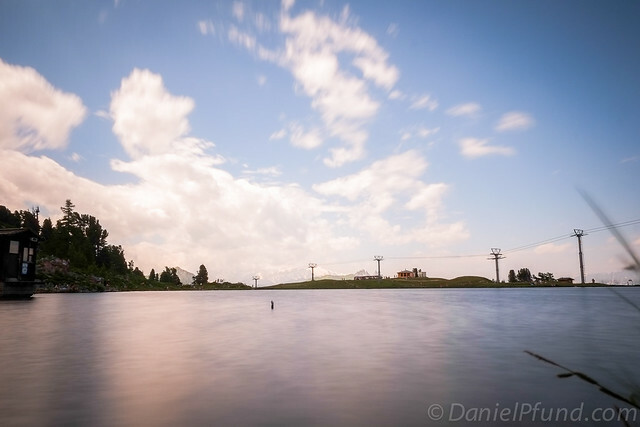 Overall, the Fuji X-Pro1 is a really capable camera in the long exposure style. A real joy to use, as it is lightweight, prefect for travel, and so easy to move around with. A work colleague was very kind to lend me his Fuji XF 18-55mm f/2.8-4.0 OIS zoom over the week-end (thanks again mate!). First impressions: wow this lens is heavy! Compared to the 18 and 35 mm primes which I have, this zoom is considerably heavier. For such a lightweight camera as the X-Pro 1, the front heavy load is noticeable. I guess it's only worse on the even lighter XE-1. The first time I used it I thought it was not working, so silent it was! When you focus, you can barely hear a sound; this is really great. And the focus... Wow, this is amazing! It's much faster than the primes and did I mention silent? ;-) I guess this has to do with an internal motor, while heavy, really works wonders. As always in photography (and life), it's all a question of compromises. The zoom itself is very smooth. I really like how even in the optical viewfinder you see the frames moving when you zoom. I photograph my kids a lot and found it rather difficult to have focus confirmation with the optical viewfinder. That's especially difficult if they move around. My keeper rate was maybe 50% with the optical viewfinder. But when I switched to the electronic viewfinder, my keeper rate increased dramatically to 90%. Maybe I didn't have enough time with the lens to get a better feeling for it. I suppose the keeper rate would only increase with usage. I'm not going to comment on sharpness, but for me the quality was more than enough. I shoot only JPG as they are just so good with the Fuji. I found the bokeh to be nice and creamy too. From a technical perspective, I found the lens excellent. I didn't have much use for the optical image stabilizer. With such good performance at high ISO speeds, I don't really see the need for stabilization. On top of that, it's mostly my subjects that move, not my camera that shakes. I wonder if that stabilizer added a lot of weight to the lens? If so, I'd much prefer a lighter zoom without stabilization. I also concur with some other reviews that were disappointed that aperture was not available directly on the lens. The aperture ring clicks but doesn't indicate any values. I understand that's due to the variable aperture of the lens (2.8 at 18mm vs 4.0 at 55mm). For that reason you always have to check the aperture in your viewfinder. But I really liked the fact that when you set it to 2.8 @18mm then zoomed to 55mm, the lens switched to 4.0, and when going back to 18mm, it switched back to 2.8 automatically. I didn't expect anything different in fact. A good example of the background blur you can achieve. 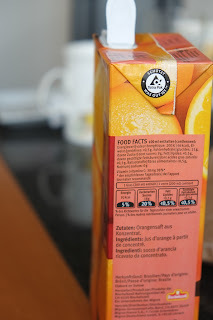 This picture was taken at 55mm f/4.0 with a slight angle down the orange juice brick. Look how it slowly goes out of focus and the background bokeh. Very pleasing in my opinion!